Home About Universe Alien stars Astronomy Beginners Gallery Info Missions Physics Search for life Stars Red Dwarf Stars May Answer the Question: "Are We Alone?" Six percent of red-dwarf stars have habitable, Earth-sized planets, astronomers at the Harvard-Smithsonian Center for Astrophysics (CfA) have found. Red dwarfs are the most common stars in our galaxy; about 75 percent of the closest stars to Earth are red dwarfs. The closest Earth-like planet could be just 13 light-years away, Harvard astronomer Courtney Dressing has calculated. Since red dwarf stars live much longer than Sun-like stars, this discovery raises the interesting possibility that life on such a planet would be much older and more evolved than life on Earth. "They are the silent majority, a population historically underrepresented, meaning unstudied," says Andrew West, assistant professor in Boston University's department of astronomy. "Despite being ubiquitous, they are very faint, making them challenging to observe." West is convinced that the resulting information will help us learn how all stars form, and may provide "a small piece of the puzzle of trying to understand our place in the universe," he says. "Understanding how the smallest stars form informs us as to how the planets form, and helps answer the question: Are we alone?" 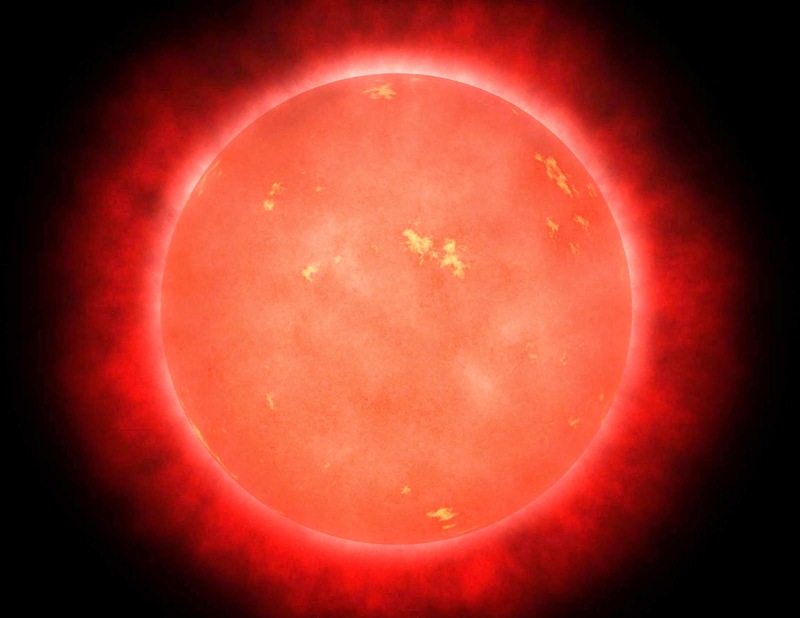 Red dwarf stars are smaller, cooler, and fainter than our Sun. An average red dwarf is only one-third as large and one-thousandth as bright as the Sun. The cFa team culled the Kepler catalog of 158,000 target stars to identify all the red dwarfs, then reanalyzed those stars to calculate more accurate sizes and temperatures. They found that almost all of those stars were smaller and cooler than previously thought. Locating nearby Earth-like worlds may require a dedicated small space telescope, or a large network of ground-based telescopes. Follow-up studies with instruments like the Giant Magellan Telescope and James Webb Space Telescope could tell us whether any warm, transiting planets have an atmosphere and further probe its chemistry. "In terms of understanding how the smallest objects form, one of the most exciting things happening in astronomy is the study of planets around other stars," West says. "We now know for the first time in human history that almost every star has at least one planet, and it turns out that the red dwarfs appear to host more planets than other stars. "Small planets are more abundant around small stars," he adds. "The most common stars in the galaxy appear to be the most common planet hosts, including planets we could envision walking on. If you were to put money around where we would find the most habitable planet, it's likely to be around a red dwarf." The definition of the habitable zone of a star is whether liquid water can survive on its surface, given that life exists virtually wherever there is liquid water on Earth. Too far from a star, and a world is too cold, freezing all its water; too close to a star, and a world is too hot, boiling off all of its water. Since red dwarfs are cold compared to the sun, planets would have to be very close in to be habitable to life. West says one big unanswered question is how the very smallest stars and brown dwarfs--objects less massive than stars, but more massive than planets--form. West is conducting his research under an NSF Faculty Early Career Development (CAREER) five-year award, which he received in 2013. The award supports junior faculty who exemplify the role of teacher-scholars through outstanding research, excellent education, and the integration of education and research within the context of the mission of their organization. He is conducting two major experiments as part of the research. He will be using data from the Discovery Chanel Telescope at Lowell Observatory in Flagstaff, Ariz., to count the number of red dwarfs within the same volume of space. He also is studying pairs of binary stars (two stars orbiting around a common center of mass) from existing survey data that he can access online to count the number of red dwarfs and see how separated they are from each other.